The armed 14-year-old boy accused of posing as a sheriff’s deputy to gain access to a California home “looked so normal,” according to the woman who said she turned him away at the door. "He looked so normal, like a real police officer when I'd seen him," Jasmine, who declined to reveal her last name, told ABC Los Angeles affiliate KABC-TV. 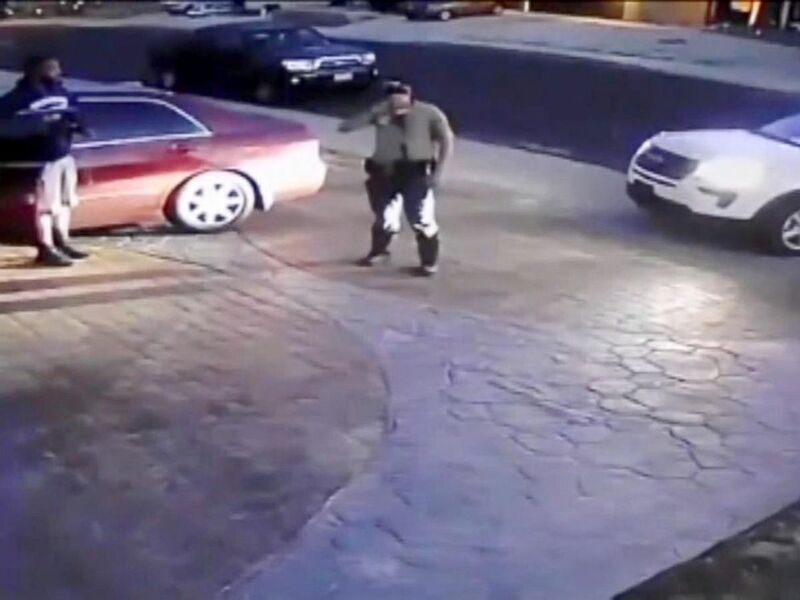 Police say the teen drove up to the Victorville, California, residence in a white Ford Explorer this week with red and blue emergency lights flashing inside the windshield. The vehicle had no license plates, authorities said. 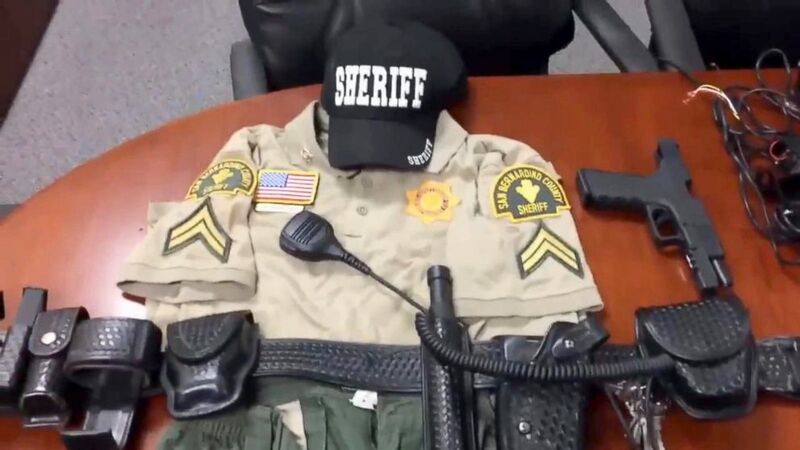 A 14-year-old teen in Victorville, California was arrested on Tuesday for impersonating a deputy's sheriff. The homeowner, whom authorities have not named, told the suspect there was no problem and then locked the door before the suspect allegedly tried to open it, police said. The suspect, whom police have not named, eventually left the area, after which the homeowner notified police. Police spotted the vehicle a day later and apprehended the suspect. “The 14-year-old great-grandson of the registered owner was detained and later identified as the suspect,” the police department wrote of the Tuesday arrest. 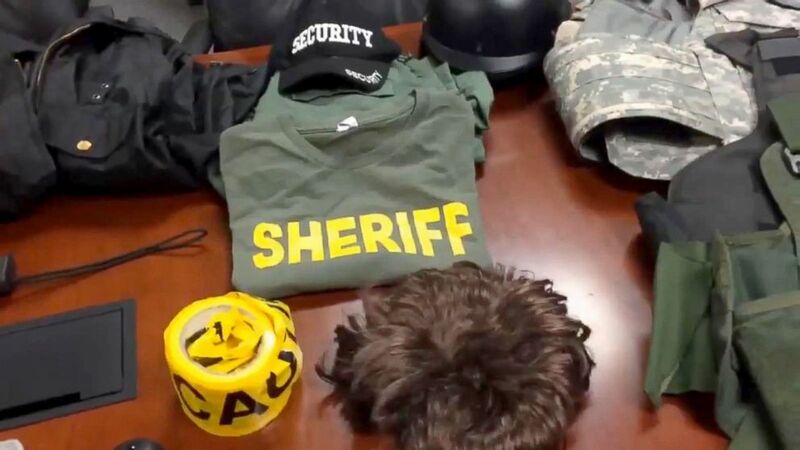 Later, “during a search of the juvenile’s home, detectives found the uniform worn during the incident, as well as a large amount of counterfeit money, simulation firearms, ballistic vests and other law enforcement related items,” according to the police department. Officials are still “trying to figure out the motive. The investigation is going to continue. We don’t know if it was for the thrill or the power of being a deputy,” Rodriguez added. The teen is also suspected of posing as an officer on the same night he allegedly tried to enter the home. He stopped a red vehicle before giving the driver a warning and letting her go, police allege. They say he also activated the emergency lights that drew a 16-year-old out of another residence. The suspect allegedly told the teen he was investigating a domestic disturbance call but left when informed there was no problem. The 14-year-old suspect, who is on probation, was arrested and booked at High Desert Juvenile Detention Center. It’s unclear whether he has entered a plea. Police are still trying to locate the driver of the red car and the other residence. Anyone with information is asked to call the Victorville Police Department at (760) 241-2911 or Sheriff’s Dispatch at (760) 956-5001.